It is your very special Day! And you want to make memories, especially photographic ones. 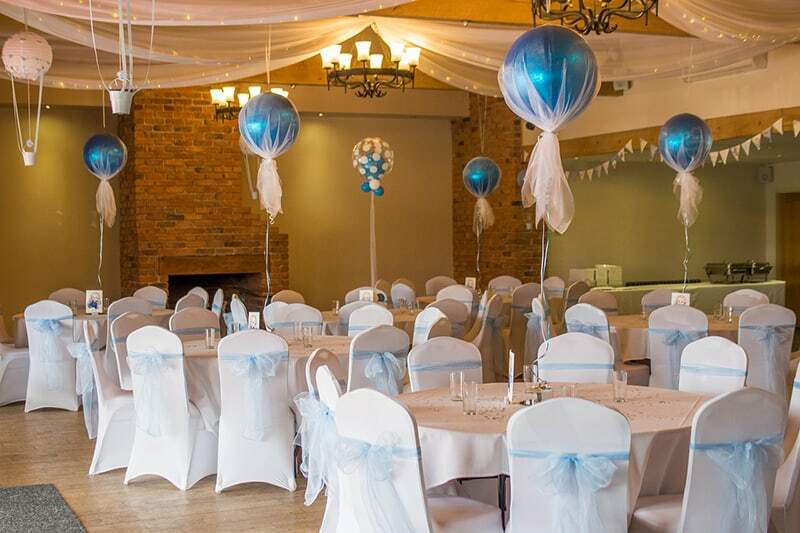 There is no doubt that balloons are fun and vibrant but when it comes to your Wedding, balloon décor can provide an elegant and memorable impact matching with colour themes that you have chosen. Balloon décor is so in vogue and giant balloons are both artistic and tasteful. With the right advice Balloon Man can assist you in choosing centrepieces, table numbers, photo props, balloon garlands and balloon arches. Balloons can be tied to signs to make them stand out or make the cherished entrances of flower girls and page boys. As you have probably seen on Pinterest or Instagram Balloons are trending greatly at the moment and definitely provide that instant wow factor at a reasonable price. Check out these fabulous organic balloon installations in pale colours. Aren’t they are so tasteful?